If you’ve walked around a big city lately, you’ve no doubt seen them sticking out of people's ears. I'm talking about True Wireless Earbuds. As someone who enjoys listening to music everywhere, I can see why this is such a hot trend. 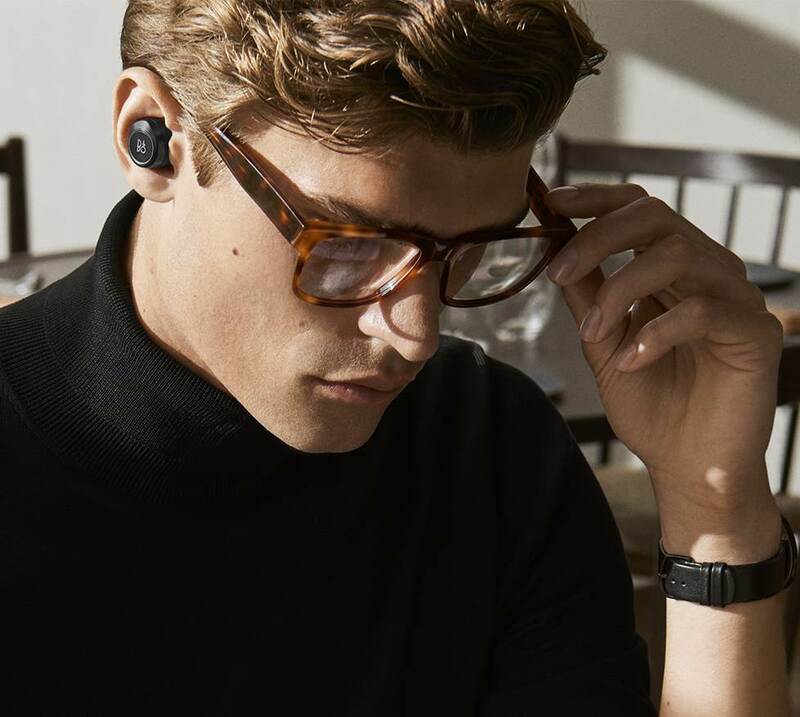 These earbuds play music wirelessly via Bluetooth®, and there is no connecting cord around your head or neck. Without that cable, you get an extra level of freedom while you listen. It feels like there's nothing holding you back or getting in your way. I've tested the Apple Airpods, along with many other true wireless earbuds. I can see why these unobtrusive, ultra-light headphones are so popular. Other companies released wire-free headphones before Apple, but they were the first to really nail it. AirPods were by far the most prevalent true wireless earbuds I noticed on a recent trip to New York City. I saw Wall Street types, delivery guys, and people on their morning jogs — all of them wore AirPods as they hustled down the sidewalks. The AirPods work especially well with an iPhone, thanks to Apple's cutting-edge W1 chip. This special wireless technology ensures they pair up quickly and stay connected. And they make some of the clearest-sounding phone calls I've ever heard with wireless headphones. While the AirPods do a lot right, they aren’t the only game in town. There might be a better option for you, depending on your listening habits, your tasks, or your smartphone. "In-ears for people who don't like in-ears." That's how I usually describe Bose in-ear headphones to folks who haven't tried them. You don't stuff them deep into your ear canals. 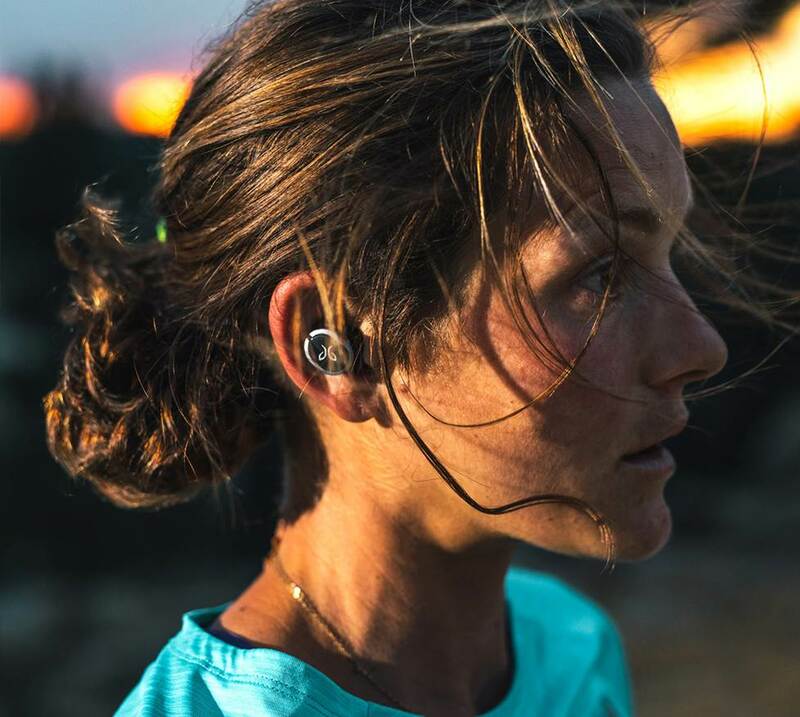 The StayHear+ Sport ear tips rest just inside your ears. They feel super soft, and the ear hooks keep them secure. I saw an NYC bike courier going full speed while wearing them, and they stayed right in place. Very high quality, as I've come to expect from Bose. Completely cutting any wires has been unexpectedly liberating. I feel like my head is freer to move about. They feel "lighter" somehow. To my ears, these are the absolute best-sounding truly wireless headphones available. It makes sense. 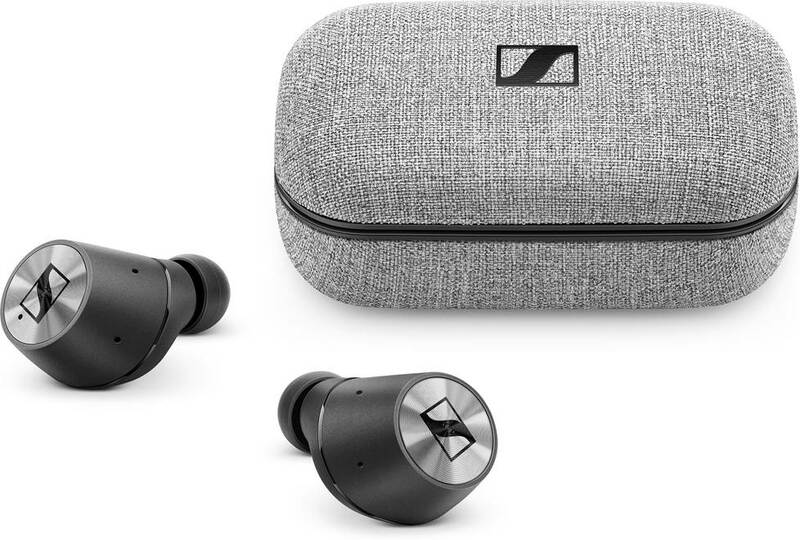 Their driver design and sonic signature are both informed by Sennheiser's flagship IE 800 S in-ear headphones, some of the most revered wired in-ears on the planet. While you shouldn't expect quite that level of sound quality, the Momentum True Wireless earbuds do deliver smooth highs, articulate mids, and satisfying bass. They also have a large, "outside-the-head" soundstage with precise imaging. Sound quality is excellent — strong bass and clear highs. Fit is both firm and comfortable. Bluetooth works well and is stable. I've kept them in my ears for 3 hours and they remain comfortable. The #1 reason our customers return these type of headphones? The audio signal can drop out during use. One ear or the other may lose sound. Sometimes it is only for a second or two. Sometimes you may have to re-pair the earbuds. Reliability can vary from model to model. I look at it as a small tax to pay for the convenience of going 100% wire-free — provided it doesn't happen too often. But you can read customer reviews and see that it bothers some people more than others. So I think you should be aware of it before you spend your money. Bang & Olufsen's BEOPLAY E8 headphones bring an understated elegance to this high-tech category. This company just has a knack for tasteful style with a touch of flair. B&O uses Near Field Magnetic Induction (NMFI) to wirelessly connect the left and right earbuds. It's the same wireless technology used in medical-grade hearing devices. That can make for a more stable performance since you aren't relying on two separate Bluetooth signals. These are incredibly nice earbuds. The materials look and feel well built. They sound amazing especially with the adjustments that you can make with the app. Bass is well rounded and you feel every beat and it commands your attention. All of the truly wireless earbuds on this list include a charging case that charge via a USB or AC adapter. They bank hours of power so you can refuel your earbuds. Snap your earbuds into the compact case to recharge them. The compact case takes up little room in your gym bag or carry-on luggage. Plus, there's no cable to get all tangled up. You pull your earbuds out, ready to pop in and go. We list the battery life in our "Product Highlights" bullets on each product page. All of the headphones shown here have a quick charge feature: just a few minutes inside the charging case will give you enough power to listen for an hour or more. 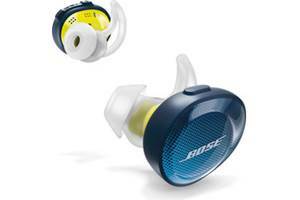 The Bose SoundSport Free case banks 10 hours of power to recharge the headphones. I dig using truly wireless headphones for working out. I don't have to worry about catching a cable on the treadmill or other gym equipment. At this point it would be hard to go back! And what’s the number one thing you want out of a pair of sports headphones? They MUST stay in place as you move. The sweat-proof Jaybird Run headphones do just that. It's thanks to the company's signature flexible 'fins' that keep them secure, so they won't fall out of your ears. These earbuds are great... stay in place with great sound. Easy to charge and stay charged long enough for a few workouts (about 4 hours). And then with a 5 minute case charge you can get another hour! Superb! JBL has fine-tuned their house sound to deliver prominent midrange with clear vocals. 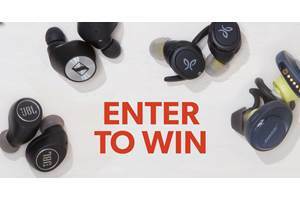 The JBL Free X earbuds play well with music, podcasts, and audiobooks. I used them while cleaning the house and plowed through The Mirage Factory: Illusion, Imagination, and the Invention of Los Angeles by Gary Krist. 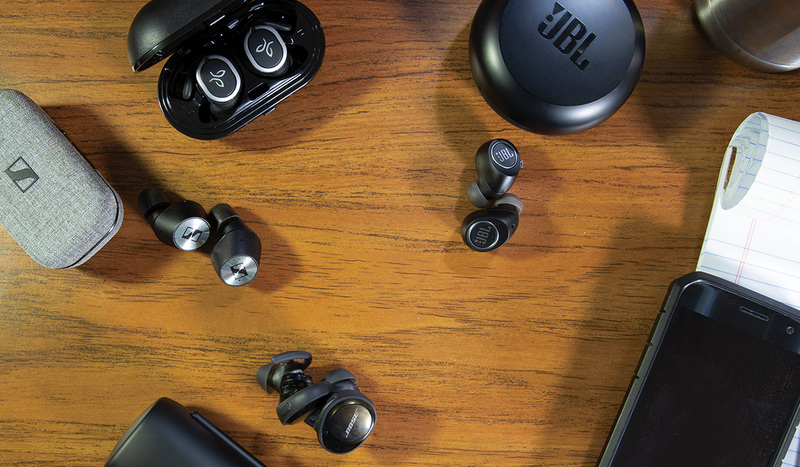 JBL’s second-generation true wireless earbuds also offer a stronger-than-ever connection. I did chores — with my phone in pocket — and suffered few audio hiccups. 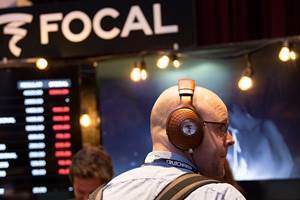 Many headphones these days have an accompanying app for your phone or mobile device. But I don't consider all of them necessary. For true wireless headphones, I definitely recommend downloading the app, if one is offered. Some apps can help with the pairing process. This can be tricky since you need to connect two separate headphones wirelessly. You can adjust the EQ settings and customize the sound to your preference or use. For example, I like to bump up the bass a bit when I'm running — I need all the extra motivation I can get. Both Bose and Jaybird have a feature to help you find a lost earbud. Using your phone's GPS, the app will will track your misplaced earbud to the last location it was connected. When you're within Bluetooth range, you can play a tone through the earbuds that's loud enough to hear from across the room. 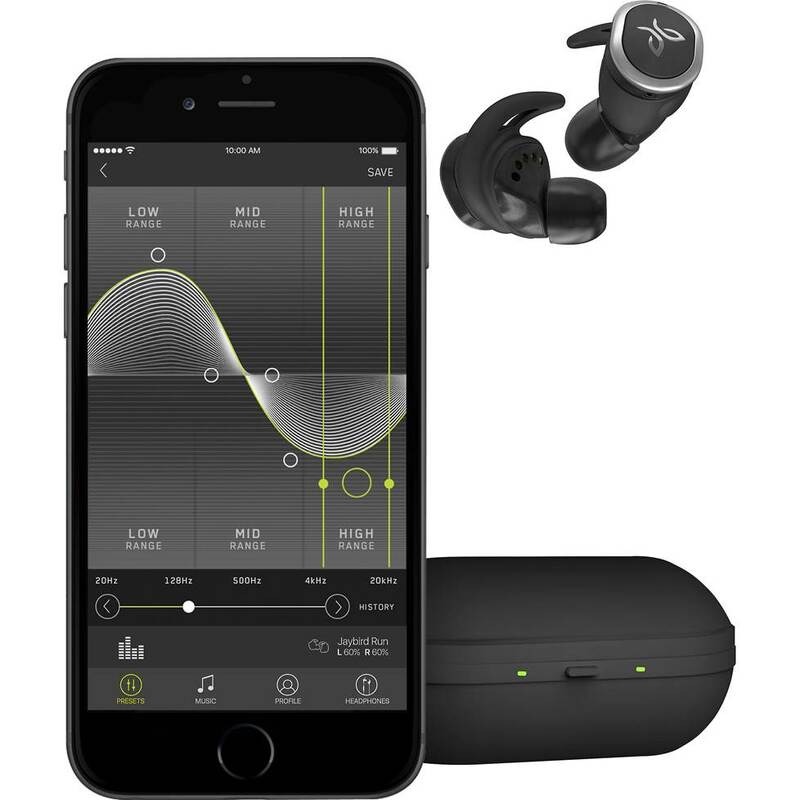 I found that the sound customization in Jaybird's free MySound app is particularly strong. Have questions about how these truly wireless headphones compare? Call, email, or chat with us today. 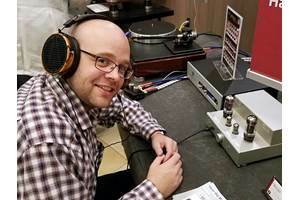 Our expert Advisors know headphones inside and out. Your Advisor can send specific Crutchfield pages to your screen, saving you a lot of browsing time. You'll get a shopping cart loaded up with everything you need. Lost ONE Apple AirPod so picked up a pair of JBL Free X, and I think your reviews are right on regarding this kit. But here are the Cons, vs. AirPods: the audio sync from my iMac when watching YouTube is terrible... lots of lag ( a bit better in iOS). Also, the left pod occasionally cuts out, but not too bad. In addition, you can't switch easily from desktop to phone, you have to disconnect from the desktop first to "free up" the Free X. Pros: lighter and cheaper than the BOSE (but sound quality is not better, that's for sure). As you said, great for podcasts, but no App for EQ features. In short, I can't wait to get my replacement left AirPod from Apple... they look funky, fall out a lot but the chip inside makes all the difference. Thanks for the thoughtful feedback! Always great to hear from someone who has lived with the products. Fascinating reading. Unfortunately there are a number of people who, like me, simply cannot budget $150 for a set of ear buds, regardless of their quality. I'd like to see you give us your opinions regarding the best bang for the bucks on more economical products, if they exist. Thank you. We actually just got the new e Endurance PEAK true wireless sports earbuds in. I haven't had a chance to try them, but the specs seem promising for a pair of sports headphones. For one, they are waterproof. And they are made to fit securely and comfortably -- they have an ear hook design that keeps them in place while you move. They also include JBL's FlexSoft ear tips, which I've tried in other headphones. Those feel really soft, and manage to avoid nerves inside the ear. I think portability is an issue I don't see in true wireless reviews. Buds with wires hang around your neck or the same with over ear but a true wireless goes back in a case and is that doesn't fit nicely in your pockets what's really the point? Only AirPods do that but they let too much ambient noise to be useful in NYC. I totally agree with Mr. Gruneberg comment about your reviews. You only review what Crutchfield advertises. I think Jabra 65t is the best overall. August, thanks for the feedback. That is a very good set of true wireless earbuds. 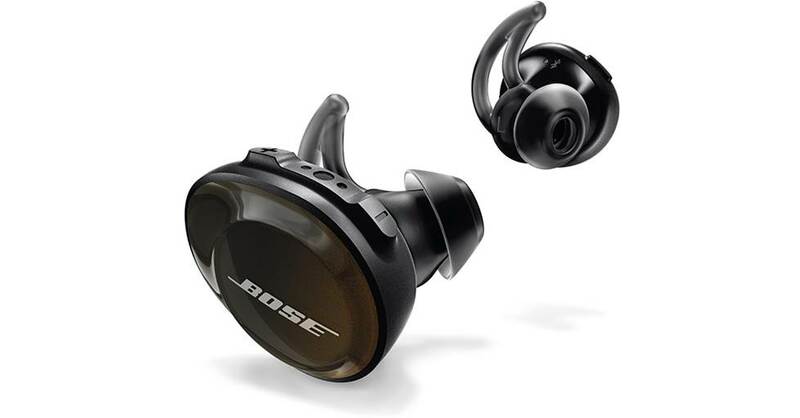 A number of reviews of the Bose SoundSport Free complain about the left earbud dropping and other issues with pairing. There was a s/w update late last year to fix this. Did you have any issues similar to this? Andy, I've used these both before and after the update. I didn't notice major audio dropout issue -- nothing past what's inherent to the category. I have a coworker who uses these more regularly, so I'll touch base with her on this. Jeff Is there a bud that is great for music but also can take calls. I have Samsung. I tested all of the earbuds on this list with my Samsung Galaxy phone. I think they all work well for music and calls. I called out some of the advantages of each in this article, but one of our Advisors can help sort them out even further for you. I'll forward your comment to them so they can follow up directly with you. Which ones work best for phone calls with an iPhone? I would assume AirPods but what about the others? Hey Bob, It's hard to beat the iPhone-AirPods combo if phone calls are your top priority. They work together so effortlessly. But I will say that you can takes calls with an iphone through any of the earbuds we show here...So keep that in mind if any of the other features you see strike you. 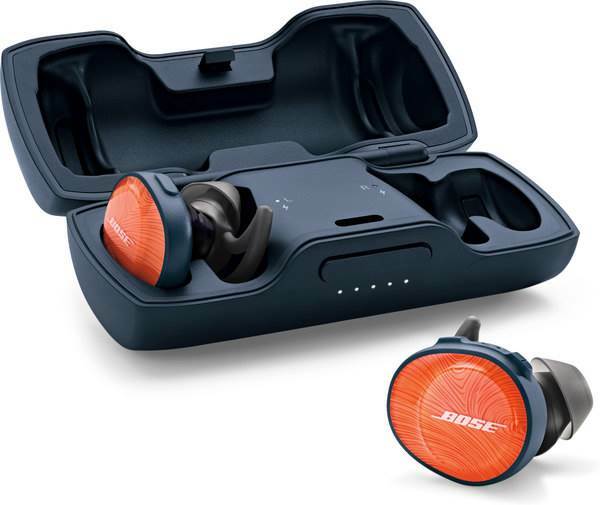 For example, one of my coworkers got a pair of the Bose SoundSport Frees -- because she loves the way that Bose earbuds fit. One bonus feature she wasn't expecting? How seamlessly she can toggle from different Bluetooth devices. She does a lot of video editing on her laptop. So she spends a lot of her work day with the earbuds connected wirelessly to her computer. But when a call comes through, she can use the on-ear controls to connect wirelessly to her phone and answer it. Thanks, Jeff! I really appreciate your candid advice, esp. re whether this option is even right for people. Helps me put the customer reviews in perspective. Of course, I'd expect Crutchfield reviews to focus on what it sells. But on the other hand, the company makes a point of only selling products it stands behind in the first place. Thank you, Alec! Glad this article was helpful. Thanks for bringing those up, Rodrigo! Let's face it, that's why we make these lists -- to get a discussion going. Headphones might be the most subjective products we carry, since fit, comfort, and phone compatibility are all involved. Not to mention sound, which we have fun debating here all the time! Those are solid contenders...if you have some time, make the case for them. We'd love to hear your thoughts. So it appears you only evaluated ear buds sold by Crutchfield. I wouldn't discount Jabra's 65t. 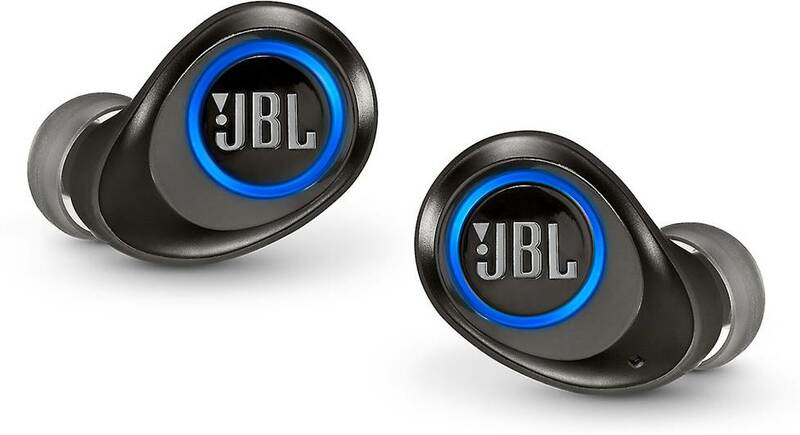 With a compatible bluetooth 5 phone they pair fast, maintain the connection in high RF environments admirably, and even pause the music when removed from the ear, ala the other model reviewed made by a major, profit before consumer, company! Would you recommend AirPods or the Bose noise-masking Sleepbuds? The Bose noise-masking sleepbuds are actually a completely different animal. They don't stream music or any audio from your phone. Instead, they play from a selection of built-in soothing, noise-masking sounds so you can sleep better. I've forwarded your question to one of our Product Advisors, so they can follow up with you and find the best one for you. Thank you! This was very informative and has given some information that I had not considered. I like how you find strengths for many brands. Jeff Miller from Crutchfield on 11/20/2018 Glad the article is helpful! Feel free to contact us if you have any questions.